Higher Voltage! : Another Brief History of Rock is a Kerrang! 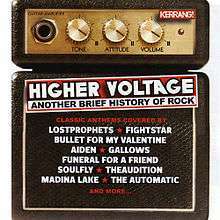 covermount CD released on 20 June 2007, featuring many older rock songs covered by newer rock artists.